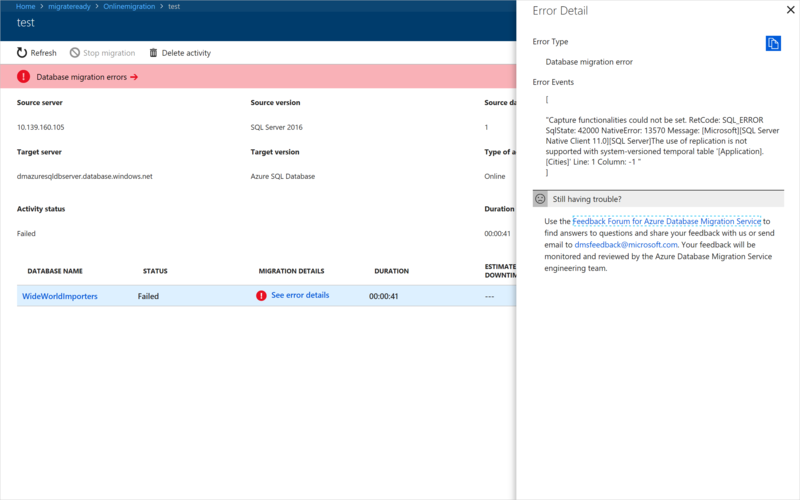 Known issues and limitations associated with online migrations from SQL Server to Azure SQL Database are described below. 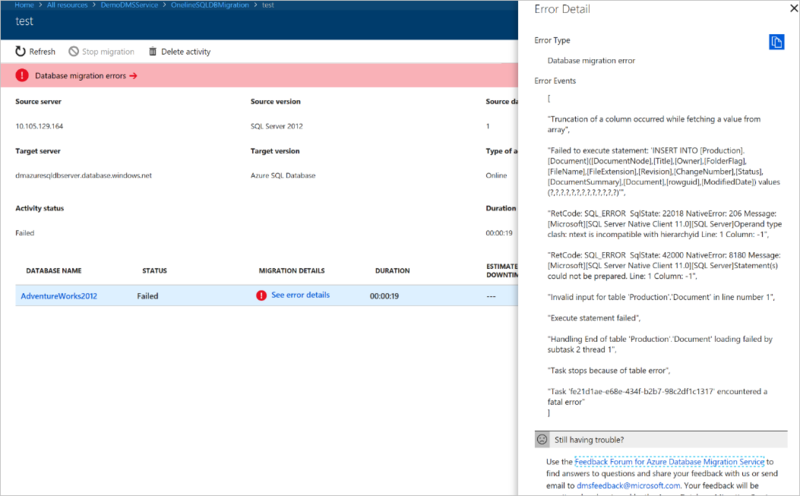 With online migrations of SQL Server to Azure SQL Database, migration of SQL_variant data types is not supported. Find the temporal tables in your source schema using the query below. Exclude these tables from the Configure migration settings blade, on which you specify tables for migration. For more information, see the article Temporal Tables. Find the user tables that include columns with the hierarchyid data type using the query below. Disable the triggers on your source database using the steps provided in the article DISABLE TRIGGER (Transact-SQL). If you have an LOB column that is bigger than 32 KB, contact the engineering team at Ask Azure Database Migrations. DMS doesn't migrate the source timestamp value; instead, DMS generates a new timestamp value in the target table. If you need DMS to migrate the exact timestamp value stored in the source table, contact the engineering team at Ask Azure Database Migrations. Data migration errors don't provide additional details on the Database detailed status blade. 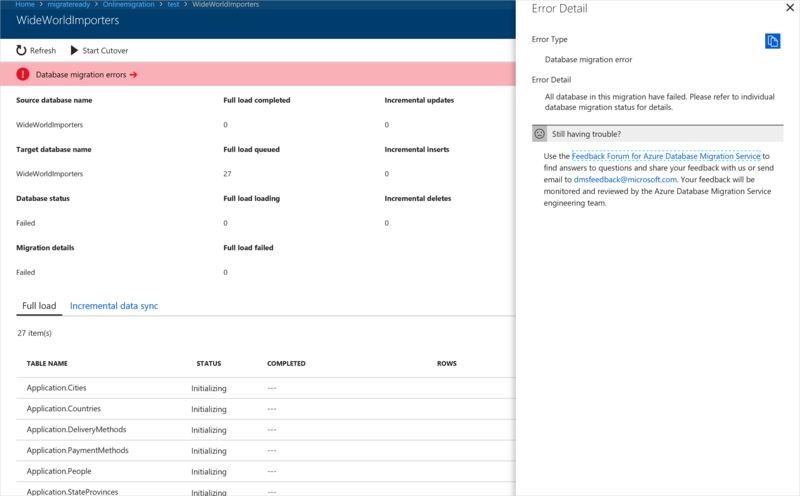 When you come across migration failures in the Databases details status view, selecting the Data migration errors link on the top ribbon may not provide additional details specific to the migration failures. To get to specific failure details, follow the steps below. Close the Database detailed status blade to display the Migration activity screen. Select See error details to view specific error messages that help you to troubleshoot migration errors.